Late last week, the Colorado state Senate adopted an amendment to the state budget long bill to allocate an additional $106 million to transportation, which will bring this year’s budget appropriation to more than $330 million. It is now up to the House of Representatives and ultimately the governor to maintain that commitment, and it is imperative they do so. A few hundred million dollars may seem like small potatoes when you consider the Colorado Department of Transportation estimates the price tag on its backlog of projects at approximately $9 billion. However, for far too long state lawmakers have essentially ignored our transportation infrastructure. Whether they are driving on crumbling sections of Highway 50 in Pueblo County, in bumper-to-bumper traffic on I-25 near Fort Collins or stuck on a gridlocked I-70 trying to get home from the mountains on a Sunday evening, Coloradans have had enough and expect action now. The proposed infusion of dollars into the transportation coffers is a solid step in the right direction. One of the questions rightly being raised by legislators is: Where will that $106 million come from? Here’s a simple solution. Gov. Polis has already noted his intent to ask for a 5-percent across-the-board reduction in spending in the next fiscal year. Why not make some of those reductions this year and fund much-needed infrastructure projects? A 1-percent across-the-board reduction this fiscal year would provide more than adequate funding to support the bi-partisan compromise reached in the Senate. Last November’s election is clear evidence that Colorado voters don’t easily part with their tax dollars, so efforts to fund transportation infrastructure at the ballot should be pursued with utmost caution and should appropriately consider political nexus and viability. Promises made by this legislature to fund transportation are not guaranteed to be kept by future elected officials with different priorities. The passage of Referendum C in 2005 offers an important history lesson. Promises were made by the legislature at that time that revenues would be split primarily between K-12 education, higher education, health care and transportation. Since 2005, $18.8 billion has been retained by the state under Referendum C. Remarkably, less than $2.5 billion has gone to fund transportation and only $358.7 million of those revenues have flowed to transportation in the last seven years. The state is blessed with more than $1 billion in new general fund revenue this year. The best way to begin to chip away at our $9 billion transportation funding shortfall is to take advantage of our recent economic prosperity and dedicate significant dollars now. Failure to do so is no longer an option. The cost of projects will continue to rise, travel times will increase, and tourist and recreation destinations will be less attractive. Further, our business climate will be threatened as the ability to engage in commerce will become more challenging and economic opportunities will be lost as businesses choose to relocate to other states that invest in their infrastructure. To be sure, there are several important funding priorities the legislature must consider. Let’s ensure transportation funding gets its fair share. 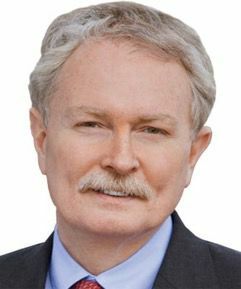 David May is president & CEO of the Fort Collins Area Chamber of Commerce and chair of the Fix North I-25 Business Alliance. 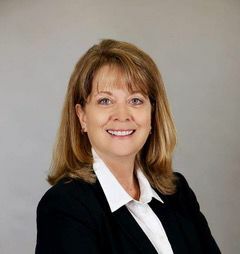 Barbara Kirkmeyer is chair of the Weld County Board of Commissioners and chair of the North I-25 Coalition.